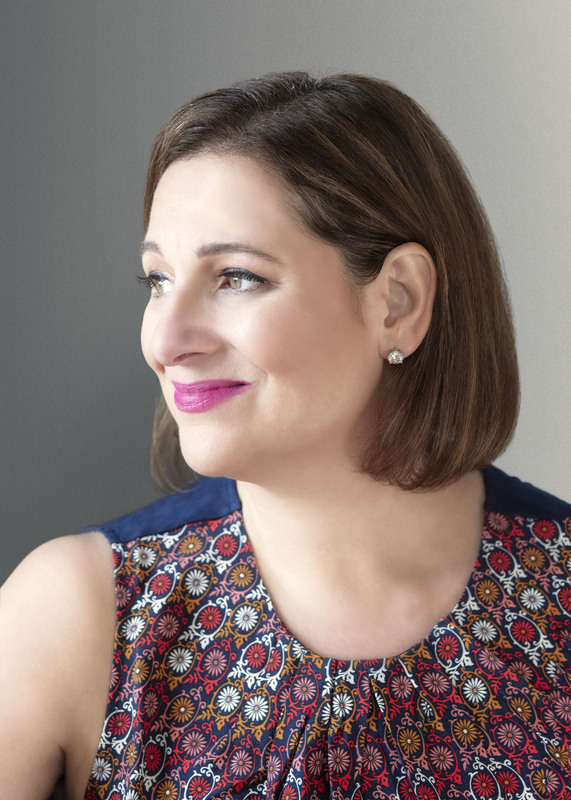 New York Times bestselling author Jennifer Weiner’s unforgettable story of adjusting to suburbia—and all the surprises hidden behind its doors. For Kate Klein, a semi-accidental mother of three, suburbia has been full of unpleasant surprises. Her once-loving husband is hardly ever home. The supermommies on the playground routinely snub her. Her days are spent carpooling and enduring endless games of Candy Land, and at night, most of her orgasms are of the do-it-yourself variety. When a fellow mother is murdered, Kate finds that the unsolved mystery is the most exciting thing to happen in Upchurch, Connecticut, since her neighbors broke ground for a guesthouse and cracked their septic tank. Even though the local police chief warns her that crime-fighting's a job best left to the professionals, Kate launches an unofficial investigation -- from 8:45 to 11:30 on Mondays, Wednesdays, and Fridays, when her kids are in nursery school. As Kate is drawn deeper into the murdered woman's past, she begins to uncover the secrets and lies behind Upchurch's picket-fence facade -- and considers the choices and compromises all modern women make as they navigate between marriage and independence, small towns and big cities, being a mother and having a life of one's own. Life in suburban Upchurch is anything but picturesque for Kate Klein. Along with three small children and a husband who is hardly at home, Kate has to contend with living up to the standards set by her fellow Upchurch mothers. They're designer-clad, perfectly coiffed -- at the playground -- and feed their kids organic food. They make motherhood look effortless while Kate, with uncombed hair and a stash of bribe lollipops, "hasn't done one single thing right" since moving from Manhattan to this small Connecticut town. When Kate arrives for lunch at the home of Kitty Cavanaugh and finds the Upchurch mom murdered, she's jolted from her malaise and sets out to uncover the killer. As her investigation heats up, Kate finds out not only that Kitty had a few dark secrets but that they had a mutual acquaintance -- a man from Kate's past who will lead her to reexamine the life she's chosen. 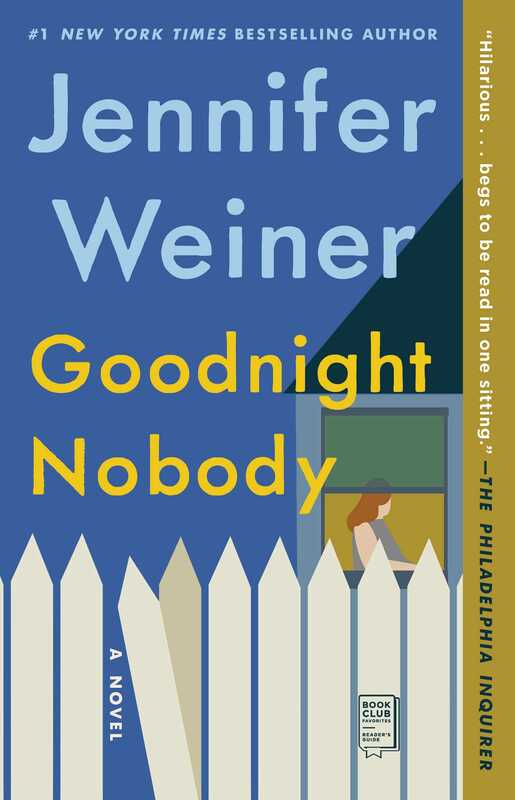 In Goodnight Nobody, Jennifer Weiner brings together two compelling tales -- an engrossing murder mystery and a poignant story about one woman's quest to save her sanity and sense of self amidst the challenges of motherhood, marriage, and suburbia. 1. Even when it becomes increasingly dangerous -- a threatening note is left on her windshield, her neighbor Lexi Hagen-Holdt disappears -- Kate continues her search for the truth. Discuss what compels Kate to get involved in solving Kitty's murder. 2. At the beginning of the story Kate remarks about Kitty, "As far as I was concerned she represented everything that was wrong with my new hometown" (5). Explain how Kate changes her opinion of Kitty as she learns more about her life. Why is Kate so surprised to find out that she and Kitty had a number of things in common? 3. To get Tara Singh to speak with her about Kitty, Kate tells her she's writing a thesis on women and "erasure" (159). Later, when Kate's father asks her if she's looking into Kitty's death she replies, "I'm actually more interested in her life. I'm trying to figure out who she used to be before Upchurch" (164). How do these two statements apply to Kate as well as to Kitty? 4. Kate feels as if she doesn't fit in with the other Upchurch mothers and that they routinely snub her. Yet Sukie later says to her, "You always thought you were the smart one. So smart! So sophisticated! So much better than us dim-bulb mama bears in boring old Connecticut, right?" (354). Using examples from the story to support your opinion, discuss whether Kate was right or wrong in her assumptions about the Upchurch mothers and how they treated her. 5. Ben constantly criticizes Kate, from the incident with the birthday party to his remark about running out of clean shirts to his suggestion that she join a gym. Why does Kate allow Ben to treat her this way? On their first date, Kate thinks, "He is a suitable man. We'll have a suitable life together" (176). Why did Kate choose to marry Ben, especially since there is an obvious lack of passion in their relationship? 6. From their first meeting in the offices of the New York Review, it's clear that Kate and Janie are, in many ways, opposites. What makes their friendship so strong? Why has it endured despite their leading remarkably different lifestyles, most notably with Kate in the suburbs and Janie single and living in the city? 7. The book includes flashbacks to important moments in Kate's life. How do these scenes set in the past provide you with a better sense of Kate's character? What significant details do they reveal about the other characters, including Janie, Ben, and Evan? 8. How much responsibility does Kate bear for the distant relationship she has with her mother? How would Raina measure up according to Laura Lynn Baird's principles for a good mother? Given Raina's past behavior, why does she support Kate so strongly in the months following her daughter's brush with death? 9. What universal themes can be drawn from Goodnight Nobody -- about marriage, motherhood, and balancing the two? Does Kate have to choose between fulfilling her obligations to her family and reclaiming her independence, or can she successfully do both? Of the different approaches to motherhood presented in the book, which do you most identify with? 10. Discuss the mystery aspect of the plotline and whether or not you found it convincing, taking into account plot twists, red herrings, and the concealment of the murderer's identity. 11. Kate acknowledges that "before we'd moved [to Upchurch], but even more since the great relocation, I'd find myself daydreaming about how my life could have turned out differently" (182). Given what you've learned about Kate throughout the story, do you think she would return to her former life if given the chance? Why or why not? 12. Why do you suppose Jennifer Weiner chose not to have Kate make a decision about remaining in her marriage with Ben or taking a chance on a relationship with Evan? What do you think the future holds for Kate, romantically and otherwise? 13. If you have read any of Jennifer Weiner's other books (In Her Shoes, Good in Bed, Little Earthquakes), discuss the differences and similarities of Goodnight Nobody to those novels. The title of the novel comes from a phrase in the children's book Goodnight Moon. Give the gift of reading by donating several copies of Goodnight Moon to a local shelter or hospital in your club's name. Organic carrots? No way! Follow Kate's lead and serve Rice Krispies Treats® at your book club gathering when you discuss Goodnight Nobody. At www.kelloggs.com you'll find more than 60 festive recipes, including Chocolate Pumpkin Eaters (the pumpkins will remind you of the opening scene in the book). Make up your own mystery game. Take turns reading aloud quotes from Goodnight Nobody and guessing which character said it. Reward the person with the most correct answers with an Uglydoll keychain, which can be purchased at www.uglydolls.com.